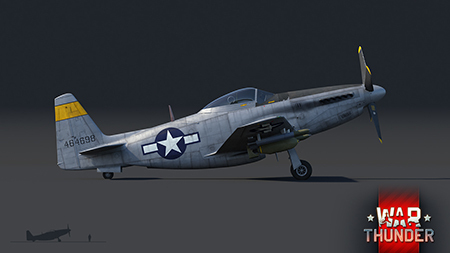 In early 1945, American engineers began testing a new lightweight modification of the P-51 Mustang, which promised a significant increase in performance compared to the standard P-51D. The new P-51H, as it would be designated, received a number of changes to both airframe and powerplant, allowing it to outperform the older D modification in almost every aspect. For starters, the engineers replaced the old Packard V-1650-7 1,315 horsepower engine with the new V-1650-9, capable of delivering over 2,220 horsepower with WEP engaged. Furthermore, the fuselage was stretched out and the air intake underneath the cockpit streamlined. New tailfins were installed and the height of the vertical tail was increased, all of which resulted in a positive impact to the aircraft’s flight stability. Once all the changes were applied, the new and improved P-51H took to the skies for her maiden flight on 3rd February 1945. The US Army, pleased by the new aircraft’s performance, hastily ordered 2,000 P-51H fighters into production. These new Mustangs were intended to complement the P-47N Thunderbolt in the planned invasion of the Japanese home islands. The first batch of around 220 P-51Hs reached frontline troops by the end of July 1945, with another 330 arriving by September. However, as the Second World War ended with Japan’s surrender on 2nd September 1945, so did the demand for the P-51H. With the cancelled invasion of Japan, the Army suddenly found little use for any additional warplanes, thus the production of the remaining P-51Hs was cancelled as well. The approximate 550 P-51Hs that were in use with the USAF remained in active service until the early 1950s, after they were handed to reserve units of the National Guard. In War Thunder, the long-awaited P-51H will be making its way to the fourth rank of the American aviation tree with the upcoming update 1.71 “New E.R.A”. There, it will provide seasoned War Thunder pilots with an aircraft that is, simply put, a true joy to fly, whilst preparing players that are just about ready to jump into the jet era with the perfect aircraft to get used to high-speed dogfights! The lightweight airframe of the P-51H, powered by a very powerful supercharged inline engine, allows the aircraft to reach a maximum speed of up to 472 mph (760 km/h) on an altitude of 21,200 ft (6,500m). 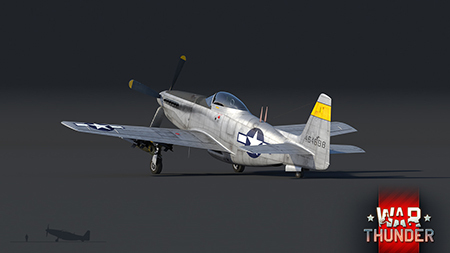 The loss in weight, compared to previous models, enhanced the handling characteristics of the P-51H, allowing it to climb faster and turn sharper. The P-51H performs best at medium to high altitudes, where it can make maximum use of its advanced automatic supercharging system. That being said, players are best off investing some time into gathering altitude with their aircraft before engaging in combat. 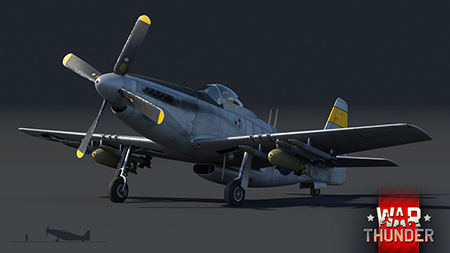 As with previous models, the P-51H excels at Boom and Zoom tactics, where it can take maximum advantage of its high speed and acceleration in an effort to catch its opponent off guard with a burst of deadly .50 calibre fire. Fans of ground attack will also be pleased to hear that, despite being obviously tailored towards achieving better performance, the P-51H didn’t lose its traditional close air support abilities. 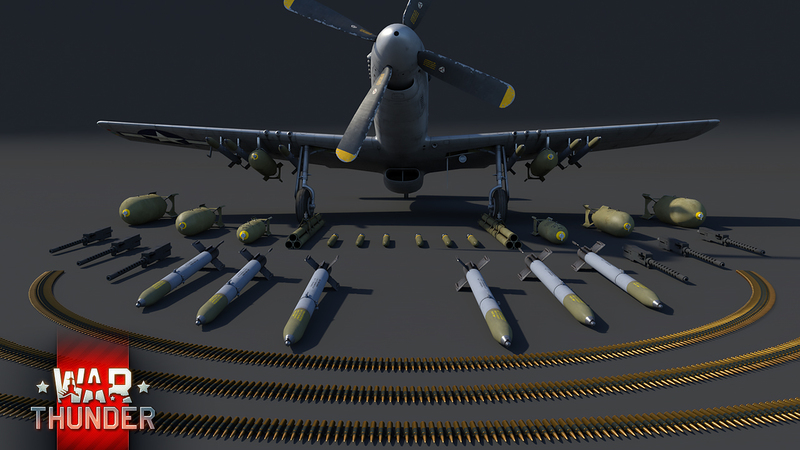 Thus, players can expect the usual selection of bombs and rockets in various shapes and sizes to be available for the P-51H as well. 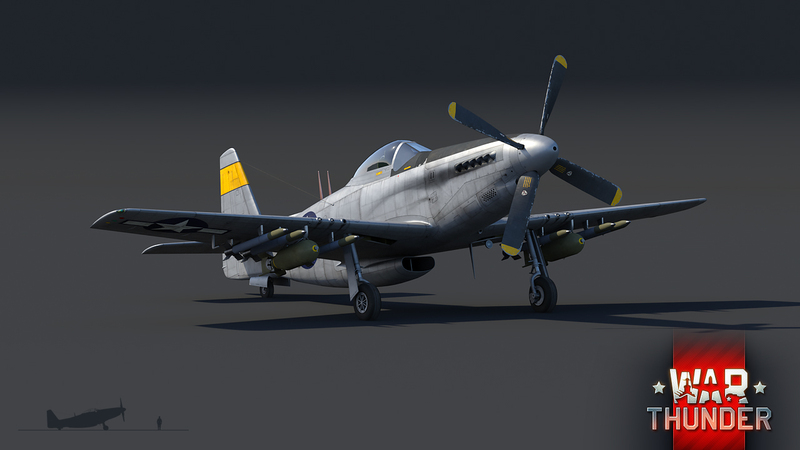 Soon, all War Thunder pilots will be able to try out one of the fastest piston-engined production aircraft ever built for the American air force in the upcoming update 1.71 “New E.R.A”! Clear prop! F4U Corsair: Sky pirates are back! Love all the weapons laid out in front, it would be cool to see other aircraft with that as well. We will pass it to our artists. Glad you like it! Thulle_, Please do, it's an amazing sight. At least now the P-51aboos will be quiet. Anything for our fellow Yankees! Thulle_, Anything? - I bet our Imperialist friends would appreciate their new toy being accompanied by a browning nerf - xaxaxa. lol, now its time to please the He-177aboos. when will Germany get heavy bombers in the normal tree (the fw200 doesn't count). Germans did not massively used heavy bombers and strategic bombing during the WW2, which leaves our hands a bit tied in terms of what aircraft we can implement to them. Surely there are some potential additions, but nothing with a huge priority atm. There's no need for heavy bombers in german tech tree. It is used intentionally. We never disclose release dates, and we never will. There might be technical difficulties or other unplanned and unexpected obstacles and if that would happen, we would have to face "but you promised it" attitude from some of the audience. Thulle_, So it's going to release same week as BF1 in the name of the Tsar dlc? Great.....I told my friends about this but now they'll be busy on BF1. Patience is not the ability to wait, but the ability to keep a good attitude while waiting young Grasshopper!